Once considered a cheap building solution for the masses, modular homes are becoming increasingly trendy as world-renowned architects and designers are jumping on the prefab home wagon. The demand for housing in the U.S. remains as high as ever, and affordability is a pressing concern for thousands of families. Modular homes cost a fraction of the price of a standard home, and thanks to their rise in popularity with some of the biggest names in the home design sphere, it has never been easier to build beautiful modular homes on a budget! With modular homes, you get to mix and match you dream home features to customize a home for your specific tastes and style. Once you have selected all your desired style elements, your prefab home is built offsite at a factory, disassembled and delivered in parts to your property where it is easily re-assembled and completed. Much like the childhood fascination with Legos, modular homes offer a playful and innovative approach to home building that has attracted some of the biggest artists in the world. Today, you can find modular homes almost everywhere in the world, and even with their affordable price tag (some estimates indicate 20-40% savings compared to standard home building), modular homes are considered a niche, high-end and ultra-modern living solution for the eco-conscious trendsetter. In the US, one of the main limitations we must consider with modular homes is their size, which is limited by the 16-foot shipping restrictions for highways. With this in mind, we work with you to design the best layout for your modular home in the Statesville, NC area. Call your local prefab experts (that’s us!) 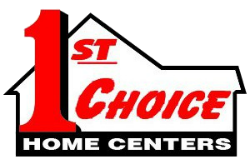 at 1st Choice Home Centers today!